*CUT TO LENGTH MODEL - these require shortening and pressing of the ball end to suit application. *We highly recommend the use of our CPR Performance Guide Plate with these pushrods. When you're taking your LIFAN 6.5hp engine or Honda GX160/200 clone engine to the limit with Intake, Exhaust, and Fuel mods. Our precision made Chrome Moly CPR Performance pushrods are the ideal solution when increasing rev range by addition of extreme upgrades and removal of governors on your Honda clone engine. 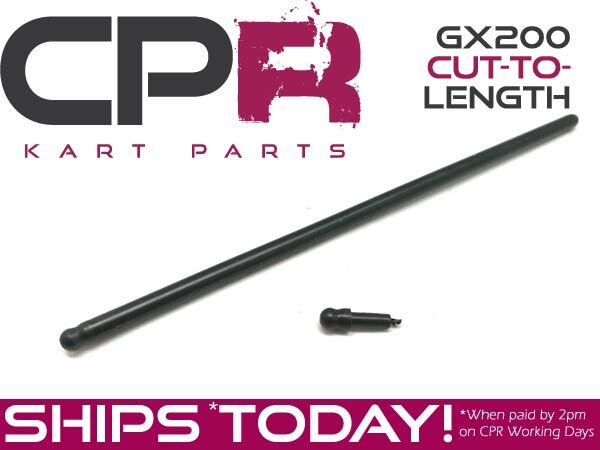 CPR Performance Chrome Moly push rods are the most affordable strong and light push rods available on the market for 160/200 Honda GX, and Clone engines.